Whether you are hoping to shed a few pounds or are working on a more intense weight loss program, you can use imagery to help the process. Guided imagery is a powerful tool that helps you harness the power of your mind so that you can achieve your goals. This is a quick imagery exercise that you can do frequently to support your efforts to lose weight. Close your eyes and take a few deep breaths. Let your muscles loosen and relax. Allow your mind to focus on the relaxation and the imagery. When distracting thoughts come into your awareness simply imagine them floating away on a cloud. Now imagine yourself at your ideal weight. In your mind’s eye look into a mirror and see the new you. You feel so proud of the work you have done to get to this ideal and healthy weight. Picture yourself wearing those cute jeans you have been waiting to wear. Pay attention to how your body feels at your ideal weight. Repeat the following affirmations: "I eat the right foods and in the right amounts." and "I choose healthy foods at each meal." Practice this imagery and affirmations as often as possible. The more you use it, the more your subconscious mind will work to make this a reality. If you have a picture of yourself at your ideal weight you can use this to help enhance your imagery. Hang the photo on your refrigerator to remind you to choose healthy foods and use your imagery. This imagery isn't the magic bullet to loose weight; however, it will help you follow through the actions that are necessary to lose weight in a healthy way. Guided imagery is a safe and gentle technique that focuses and directs the imagination. Research has shown that guided imagery has a positive impact on health, creativity, and performance. Imagery involves all the senses and is very easy to learn. There is evidence that indicates that the same parts of the brain are stimulated whether a person imagines something or actually experiences it. Our bodies then react to the images as if they are real experiences. In other words, the body doesn’t always know the difference between something we imagine and something that really happens. There are a wide variety of benefits from using guided imagery. It can be used to enhance sports performance, boost the function of the immune system, or simply promote relaxation. Even 10 minutes of imagery can reduce blood pressure, lower cholesterol, reduce blood loss during surgery, and lessen pain. We also know that imagery can help increase skill in sports, acting, and public speaking. Practice makes perfect. The more you practice, the more skill you’ll develop in using guided imagery. Use all of your senses to make the images as vivid as possible. Music can facilitate your practice. Choose music that is soothing to you. Don’t worry if your mind wanders during the imagery… that is natural and you still benefit from the imagery. Imagery combined with therapeutic massage or energy work can be very powerful. I am considering adding a new product/service to ipopin.com - personalized guided imagery exercises. After brief contact (via email) to determine your goal and your particular needs, I would then record an imagery exercise especially for you. I would then send the mp3 file via email or a CD through the postal service. Guided imagery is a very powerful tool and an excellent way to tap into your inner resources to create greater health, happiness, and success in your life. I am quite passionate about guided imagery and thought this would be a great way to reach more people with this fabulous technique. ***** I have a pre-launch special I would like to offer to you: the first 3 people who comment on this post will receive a FREE personalized imagery exercise! The only thing I ask in return, is that you provide me feedback about the process and your experience with your imagery exercise. What is guided imagery? Guided imagery is a safe and gentle technique that focuses and directs the imagination. Research has shown that guided imagery has a positive impact on health, creativity, and performance. The most effective imagery involves all the senses and is very easy to learn. How does it work? Through PET scans of the brain, researchers have shown that the same parts of the cerebral cortex are activated when we imagine something as when we actually experience it. Thus, visual imagery activates the visual cortex in the same manner that an external visual stimulus would. In other words, the body doesn't know the difference between something we imagine and something that really happens. What are the benefits? There are a wide variety of benefits from using guided imagery. It can be used to enhance sports performance, work performance, boost the function of the immune system, promote relaxation, or build confidence. Basically, imagery can help you accomplish any of your goals. For more information on guided imagery see this previous post on the power of guided imagery. I read a great post over at The Fast Lane about visualization. Steve did a nice job discussing the power of visualization. This post inspired me to write a post I have been thinking about for some time now. First, I like to use the term imagery instead of visualization because it encompasses all the senses not just vision. When doing imagery it is so important to make it as vivid as possible - using all of your senses. Steve mentioned in his article that "the mind cannot tell the difference between an actual, ‘real-life’ event and a vividly imagined one." This is absolutely true. Through PET scans of the brain, researchers have shown that the same parts of the cerebral cortex are activated when we imagine something as when we actually experience it. Thus, visual imagery activates the optic cortex in the same manner that an external visual stimulus would. Vivid imagery can stimulate the cerebral cortex, which then relays a message to the lower brain centers, including the limbic system - which is our emotional center and is involved in the formation of memories. The message is then carried to the endocrine system and the autonomic nervous system, thereby affecting many bodily functions such as heart rate, blood pressure, respiration, and the release of neurotransmitters. Imagine yourself standing in your kitchen. Make this image as vivid as you can... make it as if you were really there right now. Now imagine that you have a beautiful ripe lemon on the cutting board in front of you. Notice the bright yellow color. 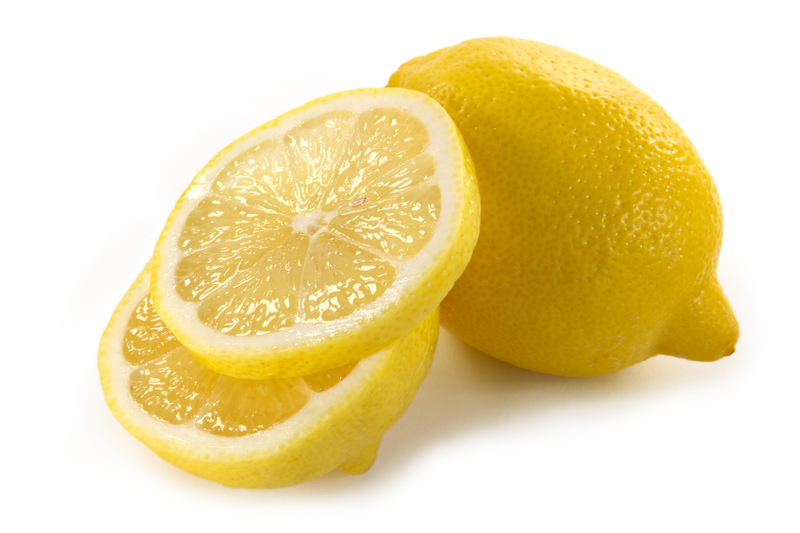 Pick the lemon up and feel the bumpy texture of the skin. Give it a little squeeze to feel that it is perfectly ripe. Now imagine putting the lemon back down on the cutting board. Pick up the knife and cut the lemon in half. As you cut notice the beads of lemon juice rolling down on to the cutting board. You can immediately smell the strong lemon scent. Now cut a small slice of the lemon. Pick up this juicy slice of lemon and imagine taking a nice big bite of this slice. If you are like most people, this little experiment in imagery produced a physical response - you probably noticed a puckering and salivation in your mouth. This is an example of how powerful your imagination can be... with a simple little imagery experiment you produced a physical response in your body because your brain reacted as if the image was real! I don't know about you, but I think that is incredibly cool! So, what does this all mean? I suggest that you pay attention to the images that run through your mind during the day. Notice what types of images you generate - begin to replace negative images with positive ones. You can also begin to design the images that will help you accomplish your goals. Each day imagine yourself accomplishing the goals you want. Imagine the life you want... make it as vivid as possible and include all of your senses. You can do this in the mornings before you get out of bed, or in the shower, or at night before you drift off to sleep. It is important to do this frequently and to make it very vivid! If you are interested in using the power of imagery to sculpt your life, please see the guided imagery exercises that I have produced - they are available as mp3 downloads. You can also hire me as your coach. Imagery is a specialty of mine and I can help you create powerful imagery exercises to help you create the life you want. Please post a comment describing your response to the imagery experiment! Here is this week's imagery exercise. It is a very short (3 min 45 secs) exercise to recharge your batteries and help you feel more energized. It is great to do as an afternoon pick-me-up. Enjoy! Guided Imagery #5 - Energize! Ok... here is guided imagery #4. I didn't get this out last week due to some technical difficulties with a new microphone. I exchanged that mic for a Logitech headset and it seems to be working better. I may return to using my Logitech desktop mic though. I am trying something different with the way I deliver this imagery exercise. Rather than embedding it in the post it will appear as a link. I think I was having some trouble with my blog loading when I embedded the mp3 files in the post. Please give me feedback about which way works better. Imagery exercise #4 is geared to helping you relax more deeply. The exercises in this series are short (about 5 min) so even when you are really busy you can find time to listen and relax. Click the link below to listen. Here is exercise number 3 in our guided imagery series. These imagery exercises are short (about 5 min), so they are perfect for times when you are busy but still need a little break to take care of yourself. Taking a short break like this can help you get centered so that are more productive and effective.